We’ve all heard horror stories about customer service gone wrong, but with these Amazon tips and tricks Secrets Of The Amazon: 7 Useful Amazon Tips & Tricks Secrets Of The Amazon: 7 Useful Amazon Tips & Tricks Amazon is, without a doubt, one of the best and most popular places to shop online. 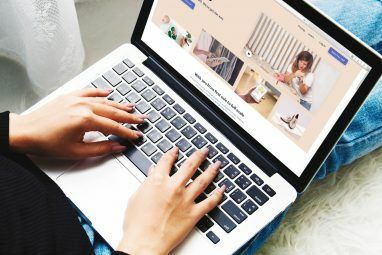 It’s got there due to awesome features like Amazon Prime, Super Saver Shipping, the Wish List browser extension, the... Read More your next shopping experience can be a positive one! Here are 16 useful customer service tips for Amazon addicts. The beginning of any frustrating experience with customer service is not knowing exactly how to get ahold of a real person to talk to. Amazon offers several options for you to choose from, depending on your preferred method of communication and the type of problem you’re facing. Calling Amazon by phone is definitely the simplest way to contact them, but not the most efficient use of your time. No matter what your question is, you can reach a customer service agent by calling their toll-free number: 1 (877) 586-3230. Be aware that you will have to spend a significant amount of time listening to on-hold music FastCustomer: Skip Long Hold Times on Customer Service Helplines FastCustomer: Skip Long Hold Times on Customer Service Helplines Read More , and that you may be asked a number of questions before your customer service agent is able to help you. You can also choose to have Amazon call you by navigating through their Contact Us page and selecting “Phone,” which will bring you to a page where you are able to enter your phone number and select whether you would like Amazon to call you right away, or in a few minutes’ time. The most targeted way to communicate with Amazon is to follow their online contact us process and then choosing to chat with a representative online. I’ve found I’ve rarely had to wait longer than a few minutes to be connected with a customer service representative through chat, and their responses are always prompt. This method is preferable to calling Amazon directly because the selections that you make using the online form will guide your request to a customer service representative who is familiar with the kind of problem you are having. Also, this is a great option for those who don’t like talking on the phone or who communicate better through writing. You can also choose to have a transcript of the chat emailed to you, which can be helpful if you need to refer to a specific number or guarantee later. Your final option for contacting Amazon directly is to send them an e-mail. The nice thing about this option is that you are able to send Amazon all of your information in the initial e-mail, which in a best case scenario might allow you to take care of an issue in a single email exchange! To contact Amazon by e-mail, you follow the same form as you would for chat or to have Amazon call you, but select the e-mail option at the end. The e-mail will be sent from the address linked to your Amazon account. Unfortunately, there is always the possibility that your initial e-mail may not contain all the information your customer service representative needs – in this case, you will end up in a back-and-forth exchange very similar to one you would have using the chat service, just with a little more time spent waiting between e-mails. In 2015 Amazon introduced a new form of customer service that can be a huge help for people who are less familiar with online shopping or who just aren’t understanding their customer service representative’s directions. You can access the home page for Amazon Co-Pilot by clicking Help on Amazon’s top menu bar, then Need More Help at the bottom of the page, followed by clicking Amazon Co-Pilot, but you will be unable to access Co-Pilot until you are on the phone with a customer service representative. While you are on the phone with your Amazon customer service rep, you can let them know that you would like to use the Co-Pilot feature. The support person will give you a code for you to enter on the Co-Pilot home screen, and then they will be able to navigate the Amazon website for you on your computer. Don’t worry – the customer service representative can only access Amazon webpages while connected to your browser through Co-Pilot, not your webcam or any other open windows, webpages, and/or programs. If you have a question and don’t care who it is that answers, you may find that the Amazon help forums are all you need. The forums can be accessed by pressing Help on Amazon’s top menu bar, and then selecting Need More Help? at the bottom of the page followed by Ask the Amazon Community. On these forums users can answer each other’s questions and offer advice or solutions for frustrating situations. If you’re looking for a refund the other users won’t be able to fix things for you, but they might have excellent suggestions about the best ways to ask for one or what you can expect from your customer service experience. Search for past questions (1): With millions of people using Amazon every day, chances are that someone out there has had the same problem as you. Do a quick search of questions that are already part of the forum and see if your question has already been asked (and answered!). Ask a new question (2): If you haven’t seen the answer to your question after searching your key words, you can ask the forum yourself. Include as much information as possible (with the exception of any identifying information, of course! ), and then see what the community has to say. 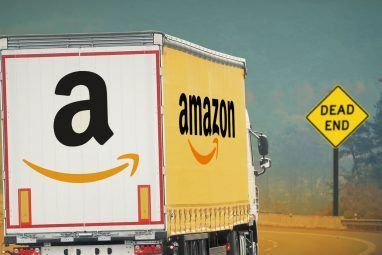 Remember to take answers with a grain of salt – they may be faster and more candid than responses from Amazon customer service representatives, but they also don’t have the same authority and may not be up-to-date on Amazons policies and procedures. View Recent Questions (3): You may be lucky enough to find the answer to your question (or any number of other helpful hints and tips) by scrolling through the questions and answers recently posted by others in the Amazon community. You may even be able to lend a hand and answer a question or two for someone else who’s looking for clarity! When ordering from Amazon it’s important to be clear on whether you are purchasing directly from the Amazon site or from a third-party seller. While Amazon may be able to help with some issues that happen on a third-party transaction, you’re likely better off starting your problem solving process with the actual seller. If you want to contact the seller directly, it can be a bit of a process. The following steps will walk you through the rabbit trail of links you need to follow. First, you will want to look up the order (either through a confirmation e-mail or under “my orders” online). The seller’s name should appear under the title of the item, and should be a hyperlink. After clicking on the seller’s name you’ll be directed to a page that will show you other items that they sell and recent feedback they have received. Click on “Detailed Seller Information” under their name and feedback rating to be directed to the next page, where you will receive detailed information about who to contact for the problem you are having (for example, refunds tend to go through Amazon, while product information and shipping questions should go through the third-party seller). The links should take you to a contact form which will allow you to fill in the details of your question and send an e-mail to your seller from the e-mail address associated with your Amazon account. The response time for these e-mails will depend on the individual seller, as they operate independently from Amazon itself. What can Amazon Customer Service do For You? Amazon Policies: No one knows Amazon’s policies and practices better than the customer service reps! If you’re confused about how long you have for a return, have questions about shipping times, or just want to understand the system a little better it’s worth reaching out. You’ll be able to get a quick, verified answer without spending too much time navigating Amazon’s maze of a website. Refunds: If you need a refund on a subscription (such as an automatic Amazon Prime Which Amazon Prime Subscription Is Right for You? Which Amazon Prime Subscription Is Right for You? Potential subscribers formerly only had one option when it came to Amazon Prime. However, now, Amazon is offering three different subscription plans so you can pick the one that best suits your needs. Read More renewal) or an item that wasn’t as described, arrived late, or arrived damaged, customer service will usually follow through without any hassle. Price Changes: There are a lot of great ways to save on Amazon 10 Super Ways to Save When Shopping on Amazon 10 Super Ways to Save When Shopping on Amazon There are plenty of ways to save some bucks when shopping on Amazon that you may or may not know about. Read More , so if you make a purchase and then notice the price has dropped (within seven days of your purchase), customer service will generally be able to refund the difference between the prices. Missing Packages: If your package has disappeared without a trace, contact customer service. They may be able to give you an updated estimate of its arrival date, ship a replacement, or potentially even provide a refund. No matter which method you choose to get in contact with Amazon, there are some guaranteed ways to get the most out of your customer service experience Are You Getting The Most Out Of Your Customer Service Experience? Are You Getting The Most Out Of Your Customer Service Experience? Have you ever called customer service, only to end the call frustrated, disappointed and without resolution? Or perhaps there was a resolution, but it was unfavorable and certainly not worth the time you spent on... Read More . Be Polite: Sometimes you need to publicly call a company out Did You Get Screwed By a Company? Take It to Twitter! Did You Get Screwed By a Company? Take It to Twitter! I used to think that Twitter wasn't very useful, until this year when I learned that Twitter is an amazing way to get what you want from any company you may do business with. Read More , but unless it’s truly a dire situation there’s nothing that’s going to help you out more with customer service representatives than treating them like human beings and being polite throughout your interactions. You’re still allowed to voice your frustrations, but do so in a way that recognizes that it isn’t the customer service rep’s fault, and allows you both to work together to find a solution. Be Prepared: Try to have all the necessary information (such as order numbers, product names, important dates, credit card numbers, etc.) with you before you contact Amazon. This simple step will greatly improve the efficiency of your phone call or chat! Explain the Problem: Try to give your customer service representative all the pertinent information about your situation up front so that they know how best to help you. Give them a quick summary letting them know who you are, which order you’re calling about, and what went wrong – this provides a great base for your customer service rep to build off with additional clarifying questions. Ask for What You Want: If you want a refund, a replacement, an explanation, or a change made to your order, let the customer service rep know! This is a win-win situation – your customer service rep understands what you are looking to get out of the conversation, and you have a much better chance of seeing the end result that you’re hoping for. Press Restart: Sometimes conversations with customer service just don’t go well – maybe you don’t click with the representative, maybe there was a miscommunication – whatever the case, if a conversation isn’t going well, don’t be afraid to hang up the phone or close the chat and try your luck again with another customer service rep.
Be Aware of the Rules: Amazon has incredible customer service, but there are still strict rules in place about what representatives are (and aren’t) allowed to do. Be aware of the policies and procedures before so that you don’t make any requests that are completely outside the scope of what Amazon is actually able to do. 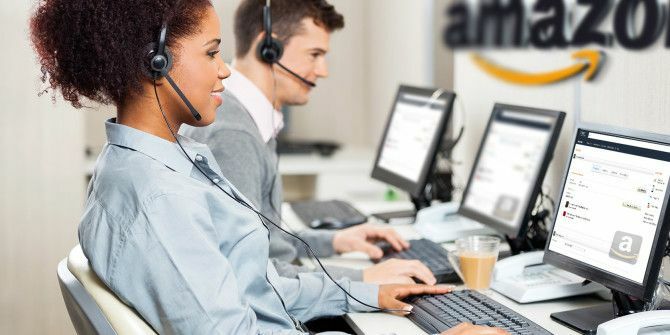 Amazon consistently receives top marks for its customer service, and it is definitely a priority for the company – Jeff Bezos, CEO of Amazon, told Forbes magazine in 2012 that all of the upper-level executives must attend two days of call-center training every year in order for them to understand what customer service is all about. I have to say, my personal experiences with Amazon’s customer service have always been great – I never had to wait long for a response, have received several refunds without any hassle, and have always felt like a valued customer. Has this been your experience with Amazon? If you have any tips and tricks for Amazon’s Customer Service, I’d love to hear about them in the comments! Explore more about: Amazon, Customer Service, Online Shopping. I have had a purchase declined. After checking with my bank they advised that they will not pay a charge on a debit or credit card unless the 3 digit security code on the back of the card is supplied. I am very happy with that. Amazon don't show that detail. I registered a "new card" but was not asked for the 3 digit code. There is NO WAY to enter the code. That means even if I have a new card it will not be accepted for payment by my bank. After offering two level security for login to the Amazon account (if I want it) I think it would be a no-brainer to ask for a second level of security when charging a card. Amazon loses my custom by not having a way to enter this important security information. 2019 experience with amazon customer service - no one speaks or comprehends American English. The reps know very little about navigating account setups. The reps don't care about successfully helping customers regarding their accounts and treat the interaction as a job passed on is a job completed. I have unsuccesfuly been trying to change my email adress for 4 months. I ended up being charged two prime charges and have no access to any account! they can verify that I am indeed a prime member, also verified by my bank. I have waited 6 days for a Prime delivery and spent over 7 hours on Amazon Live Chat then phone calls in regards to trying to receive 1 order. Using USPS as carrier for products is the problem. No customer service rep can override to send via a different carrier. Breckenridge, CO Post Office will not deliver and when I tried 3 times to pick up package at Post Office they tried to charge me $12.95 for ‘Parcel Intervention’. This is wrong! PLEASE DISCONTINUE YOUR CONTRACT WITH USPS! I still don’t have my package even though 4 customer service reps in 4 different countries just tell me to be patient. The package will never be delivered and the Breckenridge CO post office just keeps returning to Amazon. FRUSTRATED! Amazon customer service is the worst I experienced in my 55 year life. Hi Margaret - it's so great to hear about your positive experiences with Amazon customer service! So often all I hear about are the negative experiences and I love being able to balance out those stories with stories like yours. I had to call customer service three times over 2 days and found the representatives spoke English but were very, very hard to understand. I wonder if customer service is being outsourced? It was a very frustrating experience. One rep told me she successfully cancelled my order - at my request (due to the pending status for 6 days, no shipping) and would send me a confirmation email. The order was not cancelled but finally shipped! Between the vendor and the fulfilled by Amazon the delay excuses didn't even match up. FBA kept blaming my payment method, told the vendor they tried to contact me, but that was not true. Amazon CS told me no problem with my payment method, vendor didn't have item in stock. Vendor claimed 85 units in stock. Amazon really let me down. @ Gretchen....yes, Amazon has outsourced their customer service to the Philippines and it is FRUSTRATING. They have no idea what to do/say if it doesn't fall into their little scripted scenarios. I finally asked to speak with someone in the USA and they obliged. Problem is that each different problem has a different area that handles the issue so back to the Philippines I went. I'm also tired of Amazon and the changes that they make without telling us about them. In particular, I'm totally fed up with the changes the company made to their PRIME membership. To top it all off, the so called customer service reps in the Philippines have no idea what they are talking about, etc. I'm so sorry to hear about your experience, Gretchen! I find I have more success when I use the chat function - then at least I know I have the transcript (which you can have emailed to you) that I can use to prove what people have said to me about my order! i decided to go with Amazon Prime last year thinking the faster and free shipping would pay for it. Usually I opted to buy at least $35 to get free shipping. However, since being a Prime member, my shipping experience has been slower than ever. I do live in Alaska but I want Amazon to know we are part of the United State albeit not the contiguous part. Hence, we DO get priority mail here from the East Coast in just 3 days. This is all I am asking. I do not expect next day delivery but 2 weeks is ridiculous. I ordered from a third party - which what you get if you order just about anything besides books or electronics. I was told - after an hour with a customer service rep in The Philippines - that it was because of this third party. So she had me reorder and that was a fiasco and did nothing to expedite the shipping. I just got an email from Amazon to tell me it was just shipped from the Hebron, KY Amazon Facility on June 2 - today is June 3, 2016 - by Parcel Pool. That is where I am asking Amazon to send it to me by USPS Priority Mail - assuring then that I will receive it in 3 days. Why does Prime shipping do NOTHING to get me a package any faster than 2 weeks? If I could contact Amazon to say this, I would. I did finally get the lady in The Philippines to understand what I wanted, but it did NOT happen. HARUMPH! Things aren't much better here in Hawaii. As Nancy from Alaska stated, we're part of the United States but we're treated like Cinderella. I've been a Prime member for several years. In the beginning it was wonderful. Items shipped promptly. Then it all started going downhill some time last year. It takes FOREVER for the majority of my orders to ship. Originally the customer service rep would most likely blame it on a glitch and upgrade the order promptly to 1 or 2 day shipping. Sometimes they would even give me a nominal credit of $5. But shipping delays persisted no matter how many times I complained no one was willing to explain to me why my orders do not leave their warehouse for days on end. I placed an order last week Friday. It's now Wednesday of the following week and my order has been in "Preparing for Shipment" status for 3 days. I'm assuming they've changed their policy to now emphasize that the delivery time frame is 3-7 business days because that has been the standard response that I've been receiving. I can understand allowing for extra delivery time because of the distance. What pisses me off is that the orders for Prime members on the Continental United States are shipped lickety split but because I live an ocean away they can use that excuse to not ship my orders promptly. Hi Nancy and Michele - thank you so much for sharing all of your experiences! Sounds like you've both had some pretty frustrating run-ins with Amazon's delivery and customer service. Ugh - I really hope both of your situations improve soon!! I think the customer service at Amazon is generally good to very good, but I think it's a shame that they don't seem to appreciate what a resource they have in their customer base. For instance, some listing have words and/or phases that are not clear, at least not to native American English speakers. Why not a complaint or suggestion page that would provide feedback to Amazon on those problems? I personally have an issue with some listings not clearly showing where the item will be shipped from. Such additional info would be help in deciding which vendor to purchase from. These are just two ideas of ways that Amazon could improve, if they wanted to. Thanks so much for sharing your thoughts – you've got some really valid suggestions, and I wish there was a way you could communicate these to Amazon as well! Users of Amazon Fire Phones and some Kindle Fure tablets can press the "Mayday" button on their device. Within 30 seconds a Tech Support Agent will appear live in video conference on your screen. They can hear but not see you. They can demonstrate how to do things on your device or, with your permission, take over your device, and resolve your issue. This is the best and most amazing customer service I have ever seen. Thanks so much for adding this option, Steve! That's great to know - such an amazing service to offer!